Selfies are putting a fresh new face on beauty this season - looking flawless, with minimal traces of makeup. Elevate Mousse - Builds your hair, easy to use and leaves your hair light and bouncy. 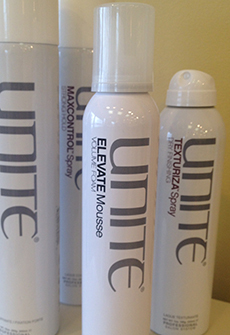 Elevate contains additives to smooth frizz and add shine. 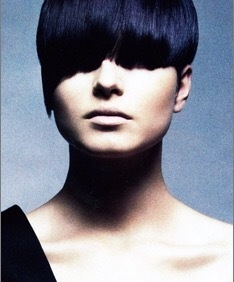 Short Hair - Pixie Cuts with a geometric shape finished with a razor. Medium Hair - Lob. Bobs - New Age shape with an extreme A-Line front angle around the face. 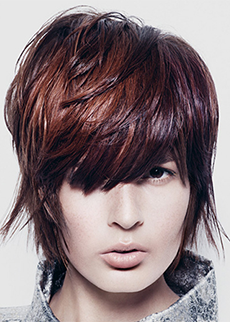 Long Hair - Shag Cut adds layers, texture, and movement throughout the length. New ways of cutting and designing bobs. Long hair gets a twist of style with braids and pony-tails. Use "Conundrum" by Unite. 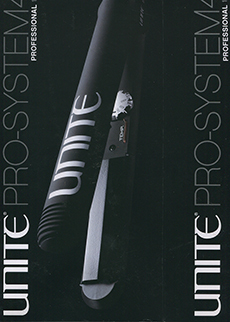 Eurotherapy for new Unite unstructured finish Bleach-Day textureing spray beach go-er locks. Curly hair has returned this season with a new twist. Call us and learn the new curling iron technique for these chic new hair styles. Reds from deep auburn to bright copper and everything red in between.